I was so frickin (yes, I said frickin!) mad at my husband yesterday. My family would say, “So what else is new.” But no really, yesterday I was totally justified. You see, he has a very funky work schedule (he is a truck driver) and I always try my best to be very accommodating. I mean, he has to sleep, there are peoples lives on the line! I try to keep the kids as quiet as possible, even taking them out when I don’t need to go out, just to keep the house quiet for him. Sometimes, though, he just doesn’t cooperate. It is not that he has trouble sleeping necessarily, it is just that if he knows that he HAS to sleep it makes it harder for him to GET to sleep. My problem is that on his days off he likes to stick to his work schedule. While I understand that, it is much harder to stick with in everyday life. 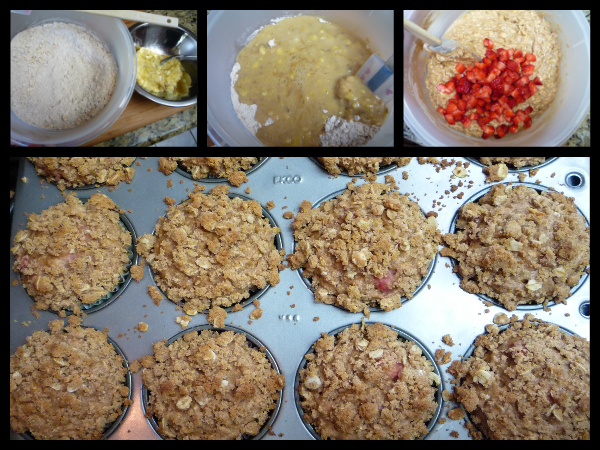 You see, I was in the middle of making a batch of muffins that I had never made before. They should have been done by the time I was supposed to leave to pick up my preschooler from school. They weren’t. To be fair, I never asked for his help but he was awake at this point (he even dressed my son to go with me) and he usually isn’t. It was his day off. I was making remarks about how he was ruining my muffins but he never said a word. 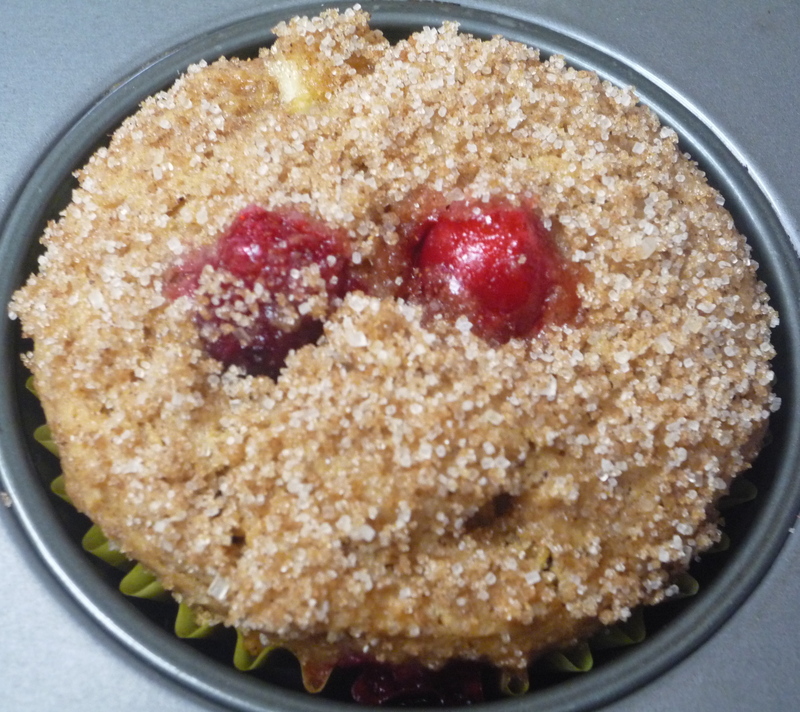 So out of the oven the muffins went, just minutes from being done. And, as I feared, once I got back from picking up Sarah, my muffins were all sunken in, unsalvageable. 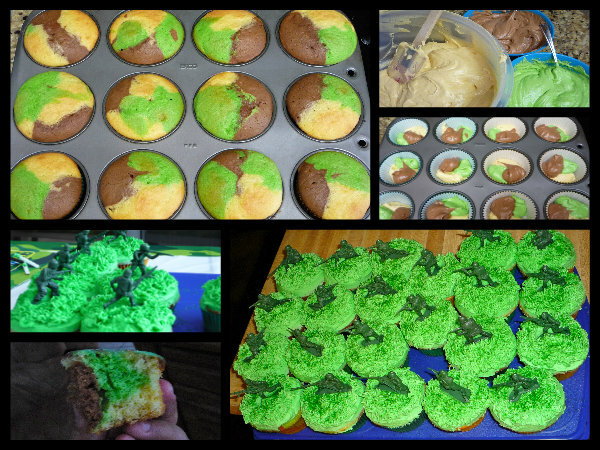 Luckily, it was a big batch, I had nine more to bake and I over baked them! That is when I lost it. He told me I should have told him when to take them out but I told him I didn’t know when that would have been as it was a new recipe. He told me to make them over. I told him I was out of cranberries. I was bummed. After eating a bit of over baked muffin, it got me thinking. I started to see the flaws in my muffin. I was thinking what else I might change and how I could make it better. The original recipe calls for a cup of oil. The first time around I changed it to one cup of brown butter but I think that it was too much. In the topping, I first used 2 teaspoons of cinnamon and although it made my house smell phenomenal, it was a bit much too. 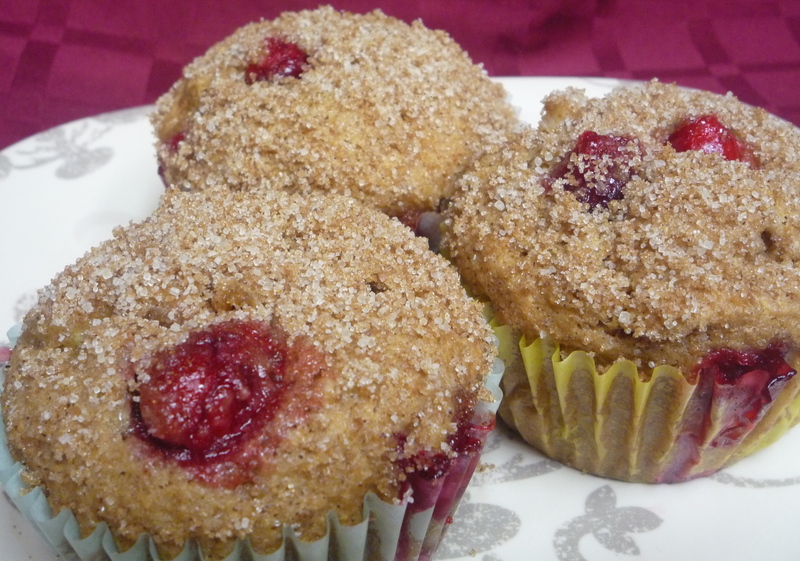 The first time, I only used about 3/4 cup of cranberries and when I ate my over baked muffin I wanted more. That meant a quick trip to the store because I was also out of brown sugar (how did that happen?). I also decided to used my white whole wheat flour instead of all-purpose flour, just because. Can you see his little muffin face saying, "Eat me"? 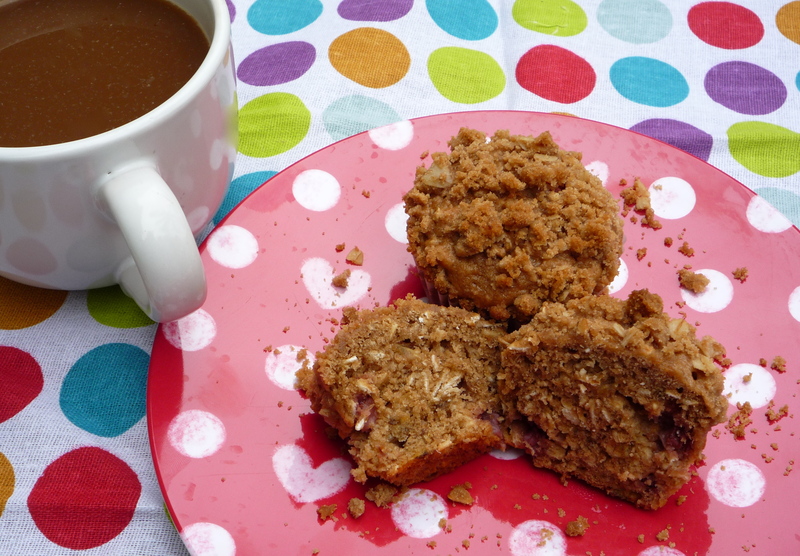 These muffins are awesome! They would be a perfect addition to any Christmas breakfast. 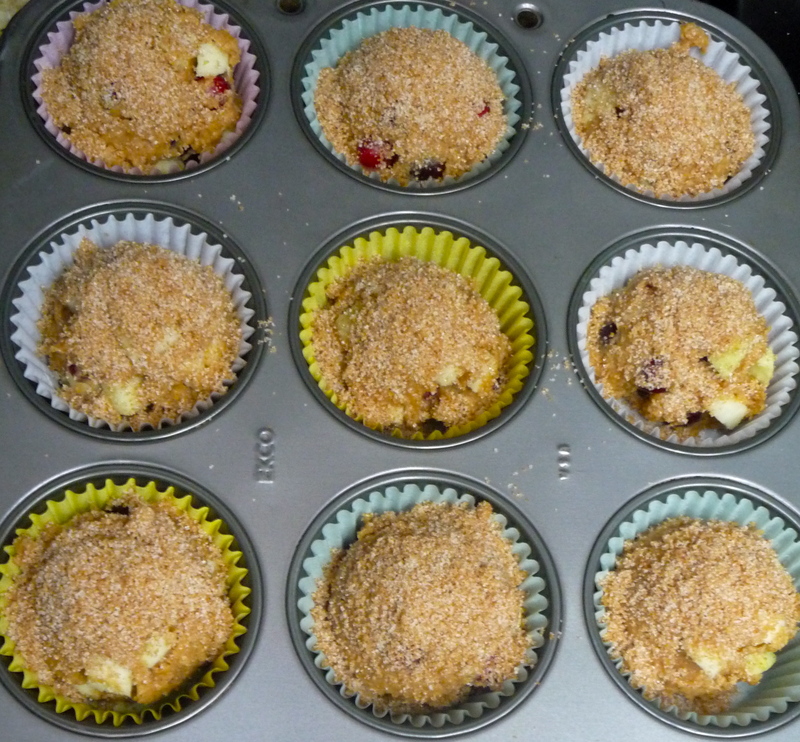 They have less sugar and butter than before (yay, for applesauce). They baked up so pretty with perfect little domes and everything. 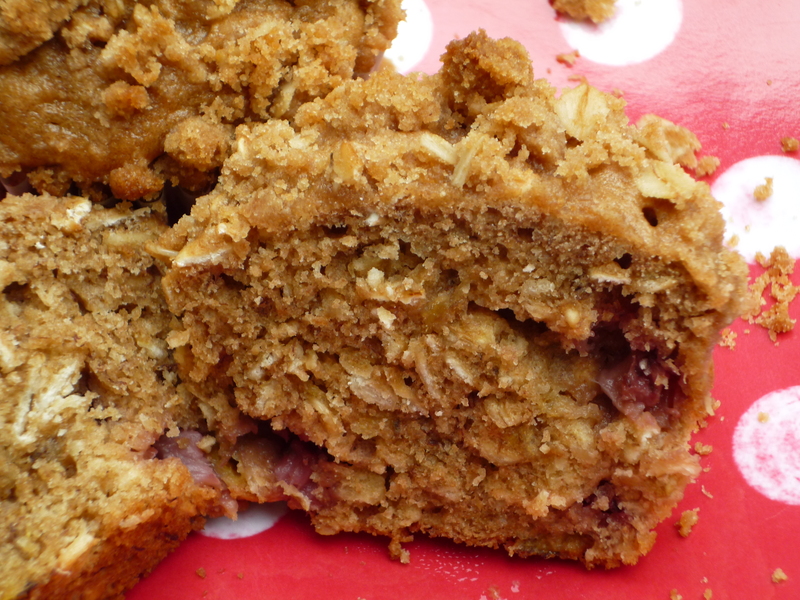 The topping is so awesome, it adds a nice sweetness and crunch. 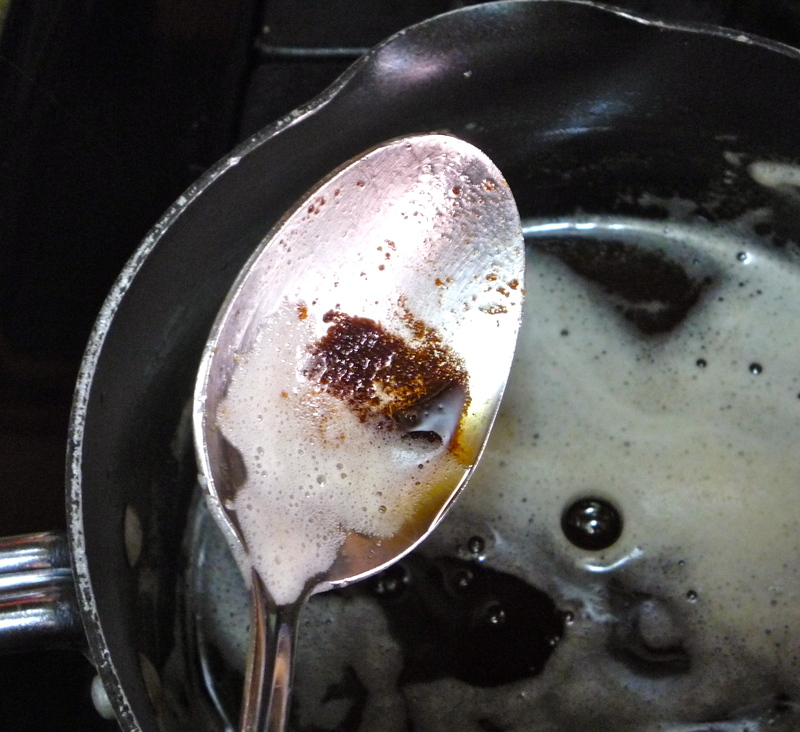 Plus, with the brown butter and cinnamon, how much better could your house smell? We ended up going out to dinner (yay, for gift cards) and once we sat down I had to thank my husband for helping me to make a better muffin. My official GeekyLink for this post is about the Hunger Games. If you haven’t read these books yet, please do so! I am gearing up for the movie coming in the spring and so have this picture from Vanity Fair to share The Young Cast of The Hunger Games. Scroll over their faces and you will see who is playing what and if you haven’t read these books, it will give you the gist and hopefully make you want to read them. However, I do want to tell my Doctor Who fans about a contest You Might Be In BBC America’s Next Doctor Who Special. Yes, You. So take a look if you are interested. 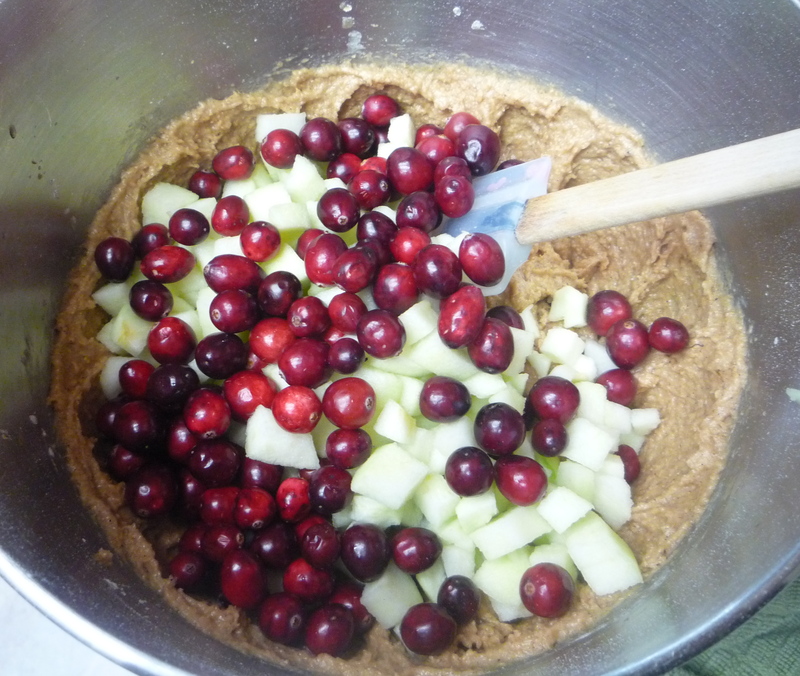 Posted in Baking, Food, Movies, Muffins and tagged apple, BBC America, Christmas muffins, Cinnamon, cinnamon cranberry apple muffins, cranberry, doctor who, Hunger Games, muffins. Bookmark the permalink. What can I say? These muffins changed my life. How, you ask? It all goes back to Joy the Baker. O boy, am I a fan. She called these muffins perfect. I would not have started this blog let alone done all the baking I have done since, if I hadn’t started reading her blog. She is funny, independent, and she teaches me new things about food. She is always learning new things too (like a few days ago she had to learn the hard way not to put parchment paper under the broiler). 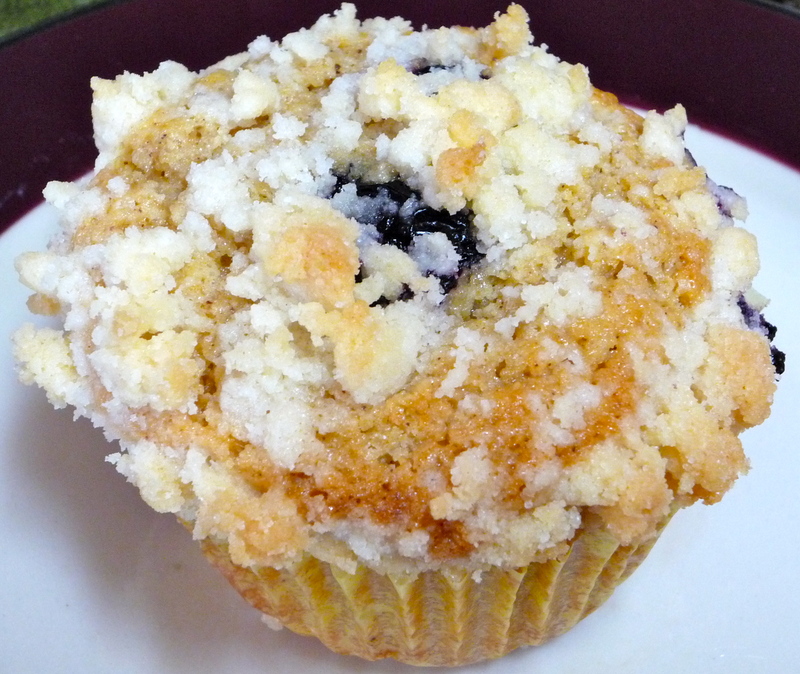 Posted in Baking, Food and tagged blueberries, browned butter, Joy the Baker, muffins. Bookmark the permalink.